Mad_Tom posted a message on Seasonal journey. Why only 0/3? Not sure; but if you have unlocked the steps where season journey is needed it obviously counts. Like, if you at Guardian now it counted. So, do you hate the shard now? Seems they are "just" doing lag fix tests. Best ammy for support monk though. Armor to CDR, voila. Mad_Tom posted a message on LoN finally relevant again - your plans? Mad_Tom posted a message on Most tanky/mistake forgiving build for 90-100+ rifts? Impale is probably the best bet. For 90-100, Zuni WD could also work (firebats combo), but the DPS likes to attack the "wrong" targets. If you are thinking about seasonal solo play, bare in mind that you will have RORG buff, so you can more or less use a Unity ring as well, if damage sustain is your main need (and it might give "life" to another build you prefer to play). from Twitch Diablo "Patch 2.6.4 is currently rolling out to consoles. We're working to resolve an issue with the PC version, and are aiming to have it out as soon as possible. Thanks so much for your patience!" So, I guess that's when patch 2.6.4 drops for EU (19:00 PM, CET). "the forges at Blizzard are hot, but for some things you will just have to wait longer"
Or something like that, isn't it? 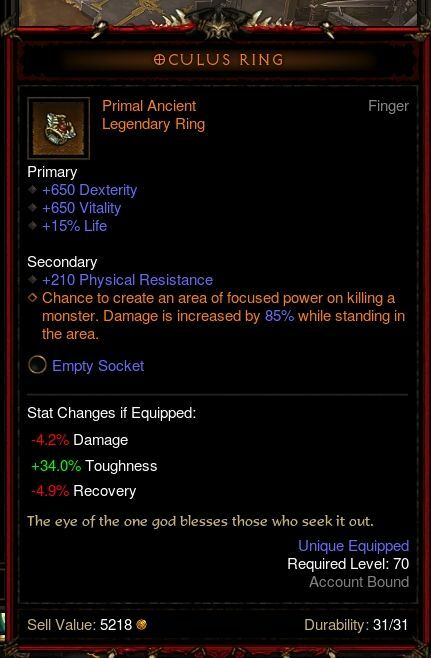 Mad_Tom posted a message on WTF is this Nerco Challenge Rift?! NumLock Devour, hit Frozen Lands at the start of the rift to stack up defenses and just wreck mobs on the way. Mad_Tom posted a message on The RNG Thread! Well I guess I can restate my question another way. lol. Are the number of lvls in a rift set. Or do they change depending on where the guardian is killed? probably a noob question but better to ask then remain ignorant. If I got your question right - number of levels is preset; sometimes you have just one, sometimes 10 - depending on the size and mob density of each level. And, it doesn't matter where (what level) you kill the Rift Guardian - it will not do anything regarding chance of a goblin pack spawning. Americas one is a tad harder this time around. Good luck and a Happy New Year! Both are a tad bit hard, but doable. Short explanations in video descriptions. Neither of them is to hard, for NA one it is recommended to build up Sweeping stacks as fast as possible (for defense) and hold them through the whole rift. I'm sorry, but if I'm correct this weeks CR should be 65, not 64. Mad_Tom posted a message on BlizzCon Goodies, Book of Adria, and Challenge Rift 64! Both easy, done on first try. And yes, I played the EU one badly. Easy Vyr set-up, shouldn't have issues. Strange Firebird Meteor build - try to Arcane Torrent at the same time when you do meteors - as it will buff meteor damage, too. Interestingly different this time around, but not to hard. Diablo 3 - Challenge Rift #58 - Video Guide with Map and Elite Locations! Mad_Tom posted a message on Diablo Comics Coming Soon! Hmmm I just went around spamming punishment. What GR level is this? Both are easy, done on first tries.